Whether it’s being able to walk off stage mid-soundcheck to grab a snack, walk across the stage to tease my bass player in front of a thousand people, or quickly and comfortably tune between songs, the G70 wireless unit will sit there obediently, making life that little bit more fun! PLINI is an independent solo artist from Sydney, Australia. He composes, plays guitar, records, produces and manages his unique brand of instrumental progressive rock all from a bedroom studio. STEVE VAI described his critically-acclaimed debut album “HANDMADE CITIES” as “one of the finest, forward thinking, melodic, rhythmically and harmonically deep, evolution of rock/metal instrumental guitar records I have ever heard.” PLINI was named #8 in Ultimate-Guitar’s top 12 guitarists of 2015 and listed amongst MusicRadar’s “10 best prog guitarists in the world right now” in 2016. 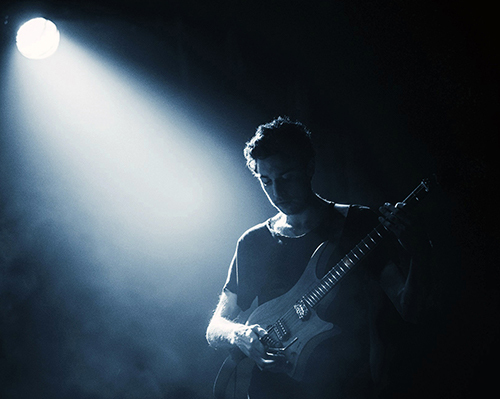 In less than two years of live performance, PLINI has already shared stages all over the world with artists like CYNIC, TESSERACT, BETWEEN THE BURIED AND ME and more; last year alone seeing the 24-year old play a slew of sold-out headlining shows around Australia, followed by over 100 shows with ANIMALS AS LEADERS and INTERVALS on a number of massive club & festival tours across Europe and North America. In addition to his own catalogue (a trilogy of EPs and numerous singles), PLINI has recorded guest solos for artists from all over the world, including SKYHARBOR (India), INTERVALS (Canada), NOVELISTS (France), DAVID MAXIM MICIC (Serbia), MODERN DAY BABYLON (Czech Republic) and more. He has also released two singles for charity, “KO KI” (2014) and “EVERY PIECE MATTERS” (2016), raising over $10000 for providing shelter and sustainable housing for communities in poverty in Cambodia.